HFN has been retained by numerous government, legal, educational, financial and private sector institutions to assess musculoskeletal injury risk for individual employees, to accommodate employees with disabilities and/or to assist in the return-to-work process for people with physical restrictions. With a focus on practical solutions, HFN consultants help those working at office and computer workstations to be comfortable, safe, productive and efficient. 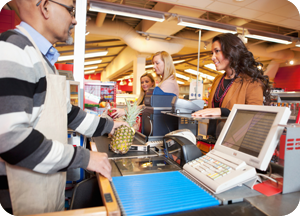 HFN was retained by the Canadian Council of Grocery Distributors to establish ergonomics best practice for the Ontario grocery industry with respect to musculoskeletal injury reduction and prevention. Positions in warehouse and distribution centers such as Truck Driver and Material Selector were an area of focus in addition to Cashier, Butcher, Grocery Clerk and Shelf Stocker in retail stores. 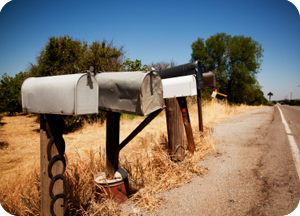 HFN conducted two large scale projects for Nexient Learning on behalf of Canada Post Corporation to assess and control musculoskeletal injury risk during in-vehicle mail delivery to rural mail boxes in Ontario and Quebec. Activities included: a nationwide survey for mail carriers to report any physical discomfort related to their job duties, field observations of current delivery methods and a comprehensive study of the impact of right hand drive vehicles. HFN was retained by the University of Toronto to conduct an ergonomic review of its Athletics Facility Assistant position to identify and control MSD-relatedÂ hazards for healthy andÂ aging workers. 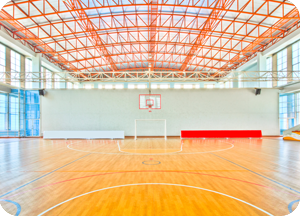 The project included an assessment of job activities for various Athletics’ departments, including: equipment desk, towel counter, laundry room and facilities. Applying a participatory approach, a collaborative focus group was carried out following on-site data collection to discuss and addressÂ key findings and formulate solutions. 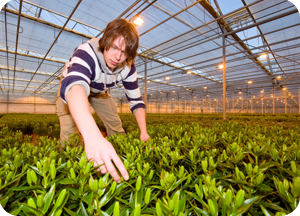 HFN was contracted by The Ontario Greenhouse Alliance (TOGA) to lead a 5-month comprehensive study of musculoskeletal injury risk in floral and vegetable greenhouses in Ontario. 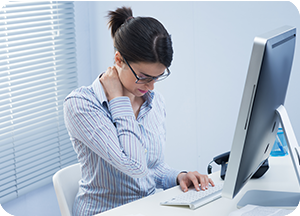 The project involved conducting a gap analysis including the identification and assessment of ergonomics-related risk factors and developing future needs for the industry to reduce and prevent MSDs. 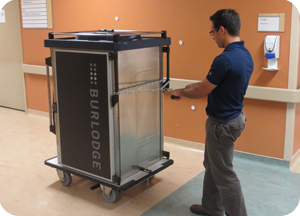 HFN was retained by Burlodge Canada Inc. to assess the push/pull forces required to manoeuvre their product line of meal delivery systems in a hospital setting. The project confirmed that the physical requirements for all units are within acceptable limits according to ISO requirements. This proactive step on Burlodge’s part helps to ensure that staff working with their product does so in a safe manner. 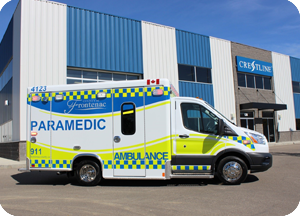 As preferred provider of ergonomics services to Crestline Coach Limited (CCL) since January 2014, HFN was retained to conduct an ergonomic design review of the new ambulance model, the ICON 2.0 Next Generation. The front cab and patient compartment of a prototype model was evaluated to ensure a comfortable, safe, efficient and productive work environment for paramedics. HFN continues to work with CCL as ergonomic improvements are implemented and field trials to obtain paramedics’ feedback are gathered. HFN was contracted by the Toronto Transit Commission (TTC) to conduct an ergonomic/human factors review of the cockpit design of the new low-floor Bombardier Streetcar Prototype. A design review was carried out of a full-size mock-up of the operator cockpit to investigate the ergonomics-related design issues associated with the design. Design recommendations were provided to avoid potential future issues related to equipment design as well as optimize the layout and accessibility of controls. 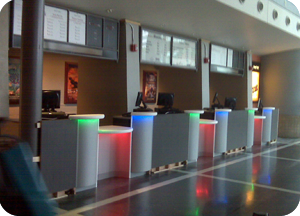 HFN was contracted by the Ontario Science Centre to work with internal resources and a third party interior designer and architectural firm to design a new box office ticket counter. Ergonomics design principles, with particular emphasis on accessibility through the consideration of universal design, were incorporated throughout the process which included the review of design drawings at various stages, mock ups and user trials. 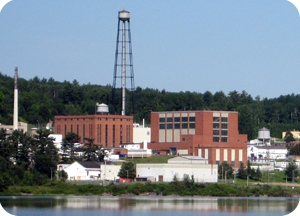 HFN was retained by Tyne Engineering for Atomic Energy of Canada Limited (AECL) Chalk River Laboratories to provide ergonomics and human factors expertise during the initial design phase of a proposed light water detritiation facility. Main tasks included: developing supporting documentation such as a program plan, verification and validation plan, and design guides; reviewing conceptual design drawings (building and control room); and providing human factors engineering consultation to design engineers. 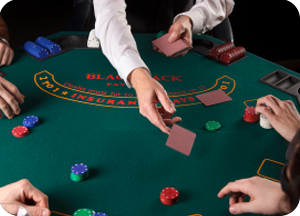 HFN was contracted by Caesars Windsor Casino to design, develop and deliver awareness and skills development training to in-house resource teams. Ergonomics Teams and Health & Safety Committee Members participated in a 2-day workshop that provided them with the knowledge and assessment skills to assist in reducing and preventing ergonomics-related hazards in casino and hotel operations. Participants received classroom education and participated in hands-on activities that allowed them to apply and practice their assessment skills. Group discussions focused on how to successfully implement MSD controls in the workplace in addition to strategies for effective follow-up, evaluation and communication of results.